Hotel Lake Paradise is one of the Most Popular 3 Star Hotel in Udaipur that Boasts of its Warm Hospitality, Luxurious Stay Experience, and Economical Tariffs.Booking Online Hotels Room in Udaipur.The Hotel is Located Near Lake Pichola, Making it an Easily Accessible Hotels in Udaipur Where one Can Enjoy Comfortable Stay and Experience the Royal Heritage of Udaipur that is Reflected by Each Element Inside the Hotel Premises. Recreation, Parking, Travel Counter, RO Water Purification System, Doctor on Call, Doorman, Catering, Front Desk, Safe Deposit Box-Front Desk, Family/Child Friendly. Desk, Balcony / Terrace, Child Care, Western Toilet Seat, Refrigerator Room, House Keeping, Air Conditioning Room, Complimentary Toiletries, Dustbins, Wakeup Calls. 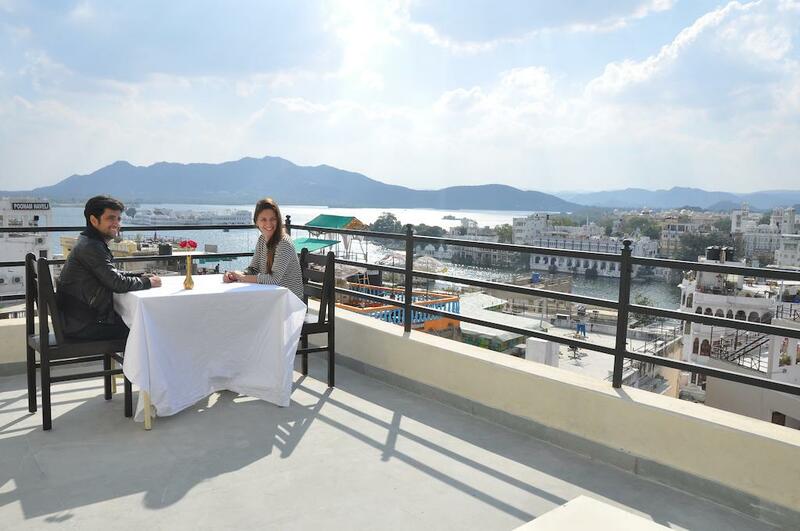 User reviews for "Lake Paradise Hotel Udaipur"